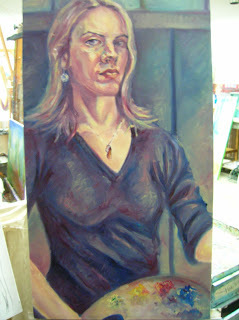 Here is the finished self portrait that I started last week. (4/18/07). I definetly work a lot looser when working from life!!! Perhaps that's why its encouraged over the use of photos ( which I use quite a bit! ).